I was recently visiting the Chihuly Glass and Gardens in Seattle, and was surprised to learn that my favorite glass artist “lives the message” in my TED Talk. 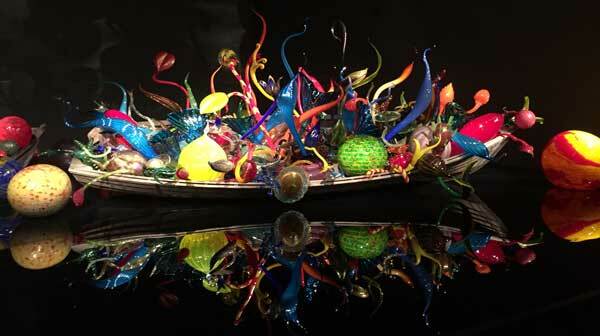 If you’ve ever seen his beautiful boats filled with glass floating on water, you may have wondered how Dale Chihuly came up with the concept. …local teenagers who were rowing in the river, picked up the beautiful glass balls and put them in their simple rowboats. The image of those wooden boats filled with his colorful glass art inspired him to showcase his works in floating boats, now known as his signature Float Boat series.